The man whose knee she is sitting on doesn’t appear to be paying attention. 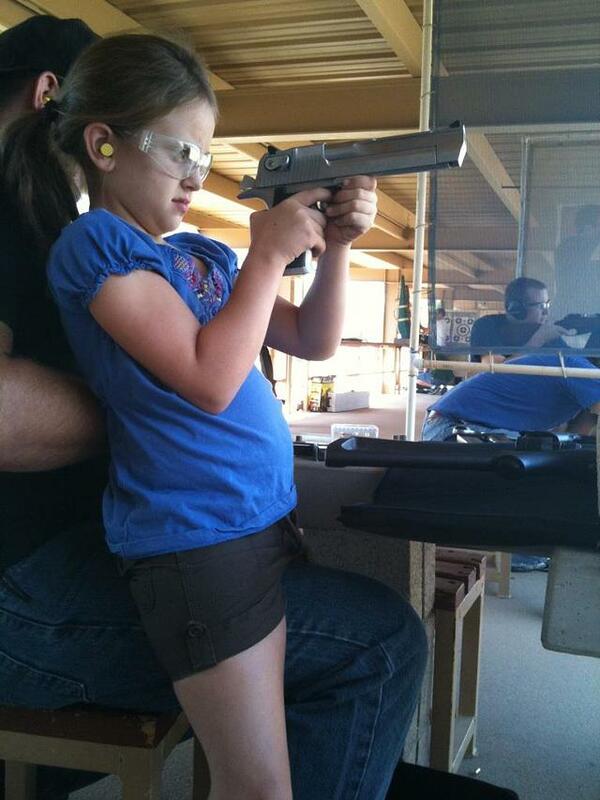 I sure hope he is just letting her dry fire it, and just happened to turn away while the picture was taken. If that thing is loaded, the trigger pull would likely have been followed by some crying, broken teeth, a broken nose, and a father of the century award. impending slide bite of the century. And this is why we cant have nice things. You mean children or the pistol? I think the jusy’s still out on that Todd. Someone call child protective services! Giving the new shooter the strongest gun you have because physical injury is funny. Looks almost like she is holding a Forward Grip on that bad boy. Yes I agree thats poor taste even if its unloaded and just for show on the net. Be one heck of a hospital bill too.. It doesn’t appear that a magazine is in the gun. Hope this finds you all well!! I wonder if its an airsoft or pellet gun? And the photographer just stood there and took the picture? Sigh. It was probably mom taking the picture, who doesn’t know anything about guns either.